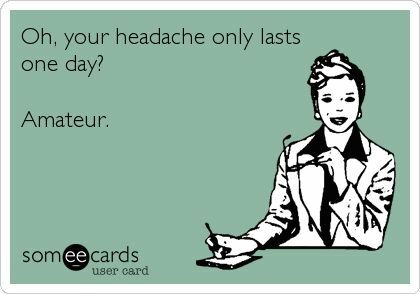 There are many triggers to my migraines one being the weather… barometric pressure changes are brutal for me and the past week Colorado has been in a cold/rainy weather pattern which is KILLING ME! I have had migraines on and off for the past 10 days and the past 2 days have ben brutal. Yesterday was cold, foggy and rainy…. same as today. And that is an actual description of what it is like inside my head right now. ha! Even after I take one of my pills and it might help the pain subside…. I am in a fog, droggy and over all feel like I got hit my a bus for at least a day after. And this isn’t great timing either… I scheduled my Real Estate exam ONE week from TODAY! I literally couldn’t study at all yesterday because looking at the screen and reading yesterday was impossible! I swear, if it aint one thing its another. Ammm I right? Anyhoo friends, just asking for prayers that I can break out of this cycle so I am get my brain back. I NEED to focus. Badly. Praying for better weather and no migraines!